It is already November and Christmas is well on its way! I know that many of us are beginning to let the words “shopping list” swirl in our minds. 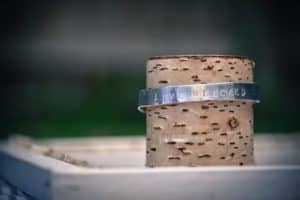 So, before you ran out to the stores or online for simply the next cutest thing, I wanted to share with you some really awesome gift options that give hope to the least of these when you purchase their products. These are not just companies that I happened upon on the internet. These are products I have actually tried and own so I can testify to their quality and absolute cuteness! 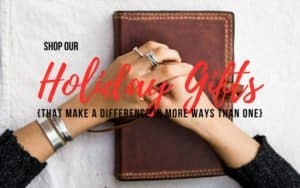 It’s an opportunity to give gifts this Christmas that share your faith, open eyes to the needs within our world, and support those giving their lives to work that makes a difference! So, who doesn’t want gift options like that? And just so you know, these are not affiliate promotions at all. They are simply companies I respect and know you would LOVE, too! “Fashion & Compassion is a non-profit, jewelry & accessories brand seeking to fulfill our mission by connecting caring consumers with vulnerable artisans to bring dignity through economic empowerment. We strive to provide dignified jobs to women (and some men!) in vulnerable communities around the world. We’re also super passionate about educating our consumers & giving back. That’s why we donate ALL net proceeds to our Ministry Partners, to further meet the needs of our artisans & the communities we serve. “Offering HOPE, healthier lives, and freedom from foot-related diseases through education, jobs, and medical relief. We believe actions based on love and hope can change a nation. Our model for love and ultimate hope is that of the greatest Servant, Jesus. “Our Social Enterprise Initiative exists to train, equip, and provide artisan jobs to young adults in rural communities. All of our leather products are handmade by students or graduates of our initiatives in Honduras and Haiti. “My family has been in the tee-shirt business for 40 years, and I found there was a lack of stylish and comfortable products in the market place . 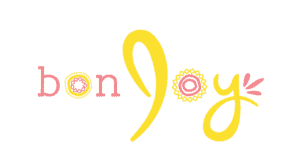 Apparel that speaks life and truth and playfully reflects life as a mom. The lack of humorous, Spirit-filled apparel led me to realize I could help fill the void. To create everyday wear which would reflect the value, power, and love promised to my children and myself, by Our Loving God. My desire is to create and produce quality clothing which remind them they are precious and made for more. * Truth Ink takes pride in GIVING BACK to those in need. To bring hope to the hopeless, strength to the weak, and comfort to those in pain. Giving back and focusing on others gives hope, strength, and love- something we all need. With each clothing release, 10% of the profits will be given to an organization of choice. 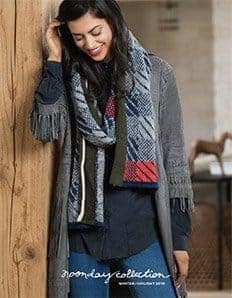 “Across the developing world, millions of people work as Artisans, using traditional skills to create handcrafted products. But without access to a global market, these Artisans often struggle to earn a sustainable income. “We have a heart for spreading God’s word and helping people in their personal walks with Christ. 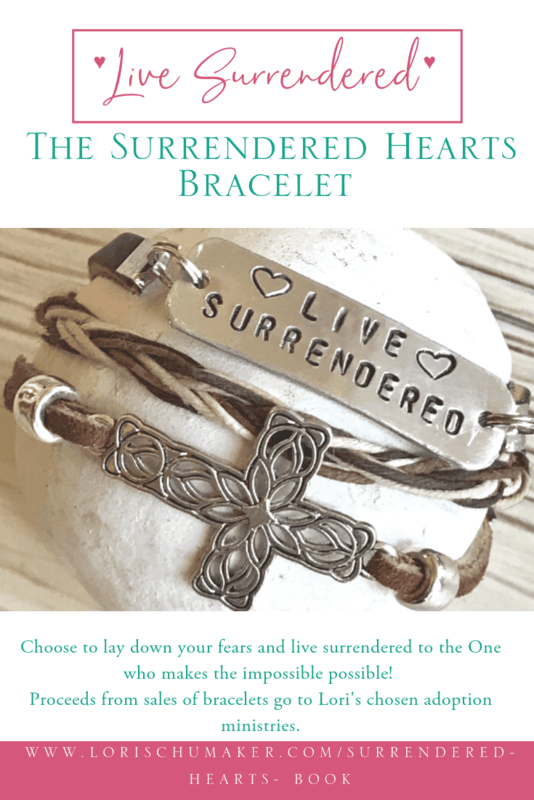 In the beginning of 2016, Rick was inspired to begin creating what we now call our Surrender™ Crosses. They are a way to release our burdens to God and rely on Him more. We had been praying that God would open doors very widely or shut them very loudly. On Tuesday, May 3rd, God answered our prayer in an unexpected way – Rick lost his job. ***I was blessed to meet Jackie this summer at the Declare Conference. She is a doll! And a powerful prayer warrior to boot! 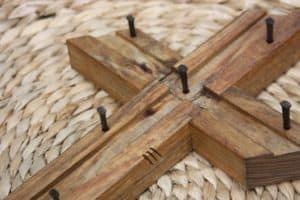 When they say they pray over every cross before sending it, you can rest assured of that truth! 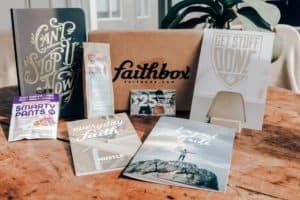 “We pack each box with our daily devotional, Everyday Faith, to help keep your faith relevant throughout the month. Look for inspirational scriptures, challenges, and seasonal prayers – all centered on a faith-based theme. We hand-pick items from companies and organizations who respect God’s people and His creation. That’s why everything is made ethically, is eco-friendly, and has a positive impact on the world. “The mission of the company is based on Proverbs 31:25. 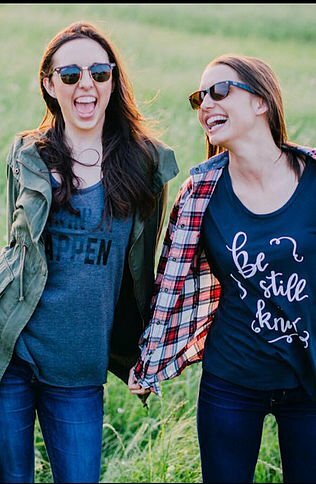 “She is clothed in strength and dignity…” We want every woman to feel this way; empowered by the Holy Spirit to live this out in their lives. This boutique is more than just clothes to us. It’s about sharing the message that women are beautiful, women are worthy and women are so loved by God. 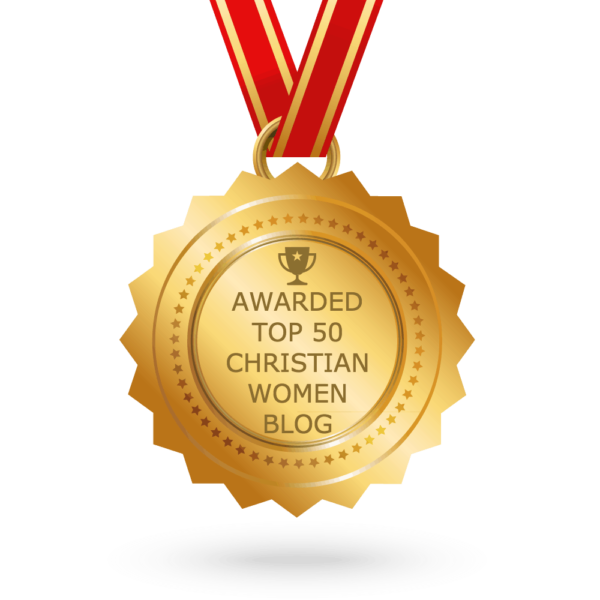 That modesty is desirable, and it’s God’s plan for women. “Whether you’re raising money for a worthy cause or shopping responsibly to support one of our awesome fundraisers, what you’re doing is great and we want to help you do more of it. “Changing the world, One Mission at a time,” as we like to say. “The Anchor of Hope Box is filled with items lovingly handmade by refugees, survivors of human trafficking and others in vulnerable situations, most living right here in the United States. Enjoy! 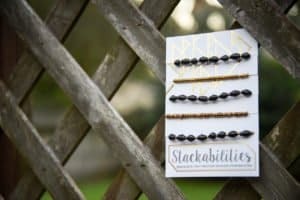 I hope this list of my favorite Fair Trade and Giving Back gift options not only help you complete your Christmas Shopping List, but create an ever-expanding awareness about how we can make a difference this year! 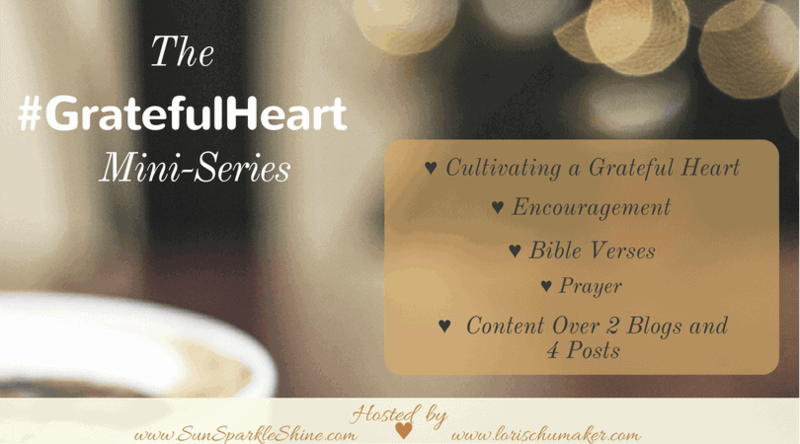 Next week, Marva of Sun Sparkle Shine and I are teaming up to bring you the #GratefulHeart Series! She is an island girl and I’m a desert girl. 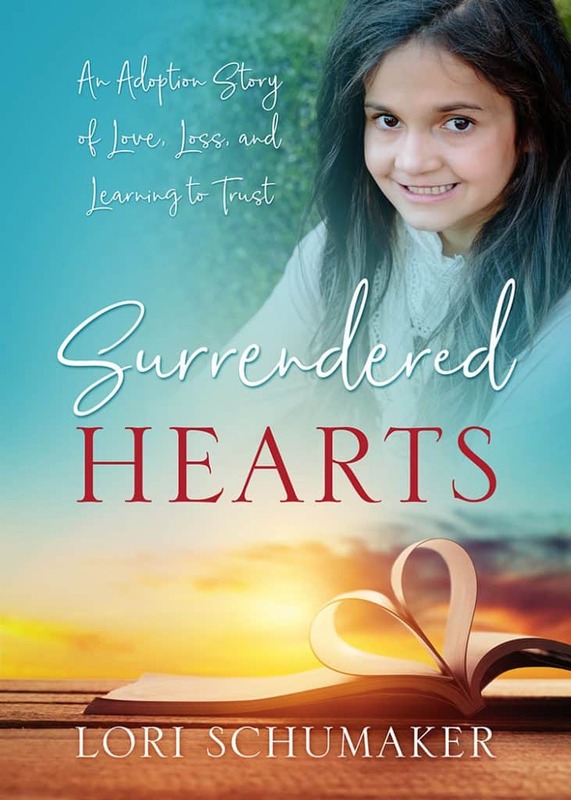 She encourages women to live life to the full and I encourage you to hold onto hope. Together we are going to encourage and equip you to activate the weapon of gratitude so that you live a brilliantly full and hope-filled life! Finally, friends, this time of year is beautiful, but also difficult. Not only are our to-do lists a mile long, but our emotions run deeper and we are more often reminded of the aches within our hearts. It is a time when we need extra hope. I’d love for you to be a part of the Searching for Moments Community. Both through email and free access to the Library of Hope, you will receive consistent doses of hope. Consistent reminders of the hope always available in Christ. All you need to do is sign up below! It’s easy! These are lovely ideas. It’s always good to give something that gives back. Paying it forward will surely save humanity. Glad you enjoyed these, Lux! Wonderful ideas. I haven’t heard of most of these companies, and I will check them out. For my children’s teachers, I like to give a donation to Food for the Poor or Compassion International which will buy school supplies for a child in need. The teachers always appreciate a gift given in their honor. That is a great idea for your children’s teachers! We have done that for our friends as well through World Vision. One year my boys decided they wanted Santa to give a donation like that on behalf of them instead of toys. Yeah … my mama heart about burst ♥ Thanks so much for stopping by! Wow! What a treasure trove Lori?! Thank you for all these great ideas and links! I am your neighbor again this morning and loved this. Some of my friends are involved in one of these ministries:) May you be richly blessed from all the work and effort you put in on others’ behalf! I appreciate having this list, Lori. Thank you! Another great fair-trade fashion and design nonprofit to support just opened last month. Jeremy and Amy Kratzer founded Girl Set Free to help survivors of human trafficking. Check it out! Girl Set Free is AWESOME! I wanted to include them in my list, but when I posted they weren’t quite live yet! Thanks, Julie, for stopping by! It was great to “see” you!